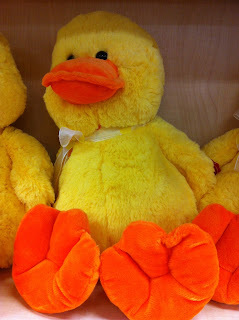 cute and cuddly duck toy. All you have to do to enter is complete the rafflecopter below. be a follower via Bloglovin as GFC will no longer count. I like these latte cups but there are a lot of fab products on there! I just love the easter egg cups so cute !!!! yum! champagne truffles yes please! Has to be the cashmere scarf and paint your own eggs - wont wear the scarf though when painting - nightmare!! I would have to say in all honestly the fluffy duck is my favourite!!! I absolutely love him! But I would also have to say the Egyptian cotton bedding is a close second! Looks absolutely beautiful!!! The Easter Egg Cups! So cute! That's a cute duck, my daughter would love that! The paint your own eggs looks fun too! Love the cotton bedding but anything lavender or the chicken egg cup. Oh I can't decide!!!! I like the paint your own easter eggs set. Oh where do I start, I love the blue jug and latte cups, very french chic,also the meta garden flower jug and it would be lonely without the gorgeous grey garden urns. Indoors I would choose the grey linen cushion and Egyptian bedset. I could go on and now am doing!!!! I spotted so many items for the house and home.Then I saw the Farm shop and am now drooling...sorry,jams,chutneys, truffles and oils.Fab site! Glad I came across this comp. These are so cute - tempted to invest!! I love the easter egg cups! Definitely the http://www.riversidelifestyle.co.uk/index.php/shop/paint-your-own-egg-decoration/ part, reminds me of all the time we used to spend painting eggs when I was young!